i can feel it in the depths. i am trying to keep it down. i am trying to keep it in. the nightmare returns this time each year. until the time i can be alone and let them crash freely. with you, my sweet babe, the pain and sadness are all i have to remember you by. i’m sorry it wasn’t as well planned with you. i’m sorry i didn’t know what to do. i’m sorry no one saw me hold you, saw me love you. so much it tears me apart. 2015 finished strong! The kids are growing like weeds, I got a promotion at the day job, Brian’s business is thriving and I also started a new adventure of my own. All in all, we can put this year down in the good column! I want to tell you about my adventure. It started, really, in 2014. It was a rough time in my professional life and also a bit financially. As Brian and I talked through the possibilities of what could change I began thinking about starting my own business on the side to help supplement our income. Through a series of conversations, research and some prayer and soul-searching I found what I wanted to do. Anyone who knows me knows that I have a love of all things Disney. My part of the bedroom growing up was covered with Mickey Mouse for a good many years, I love visiting the Walt Disney World® Resort and have a huge collection of Disney movies. So, I decided to take that love and do something with it. 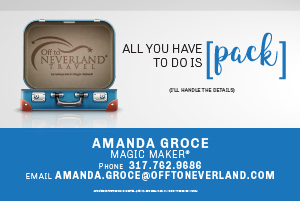 After taking some classes and several months of training I am officially a Magic Maker® with Off to Neverland Travel®! I absolutely LOVE what I am doing and could not be happier to have found this opportunity. So, what is a Magic Maker®, you ask? Well, it means that I am your personal travel concierge. I take all the time, planning and worry off of your plate so you can focus on enjoying your well-earned vacation. My focus is on Disney Destinations but I can help with almost anywhere you’d like to go. I research, book, plan and reserve all aspects of your dream vacation… while adding my own sprinkles of pixie dust along the way! 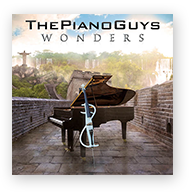 If you are interested to know more about what I can do for you as your Magic Maker®, please check out my website: Off to Neverland Travel. You can also follow me on Facebook. Happy 2016 and happy travels!! Thought I’d stop in to say Hi! Here are randoms bits of Tuesday for you. Right now I’m sitting here enjoying the quiet. The Mister is working, the kiddos are sleeping and I’ve been… doing some more work on my adventure. I can’t wait to bust it out and tell you all about it but, baby steps. Picked up credentials for the 500 today so that was exciting! I love May in Indy, did you know that? Time for life to adhere to a strict calendar for several weeks. (ha) Hoping to have a little more courage at Media Day this year and ask a question or two of my own instead of just smiling and shooting the video. Who knew I would become the quiet one? I got a FitBit today. I’m hoping that I can finally get motivated to do something and maybe write about it on the Buzz. I’m planning to document a baseline for the next couple of weeks and then formulate a game plan. I think #1 on the list should be eliminating all candy and cookies from eyesight. Yes, that should do wonders. I’m also curious to know how well I sleep and how many times I get up in the night. Hopefully those middle-of-the-night steps to the bathroom count toward my total. If so, I’m golden. Well, I think that’s all for Tuesday. Hope you all are well, dear friends. I’d love to hear about your Tuesday, too. Walt Disney World announced that Aloha Isle and Sunshine Tree Terrace are trading places as of March 12th. 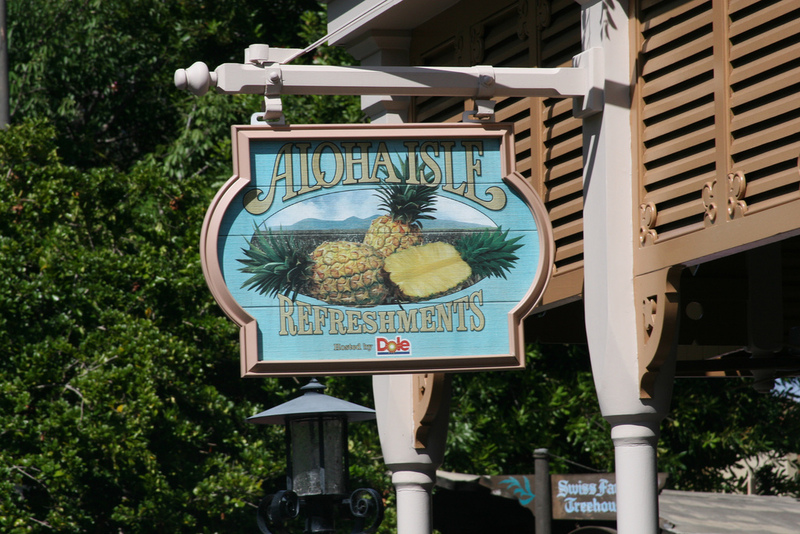 I believe this is probably to better facilitate the crowds that gather ever hungry for that world famous Dole Whip! (In my opinion, no trip to Disney World is complete without it!) Sunshine Tree Terrace will continue to serve the Citrus Swirl. Orange Bird fans, never fear, the Bird will roost in the new spot very soon. In other equally important news, the delicious Turkey Legs will be leaving Frontierland and Liberty Square as of March 25th and will relocate to the Cool Ship in Tomorrowland. This move I don’t personally understand – perhaps it has to do with crowd flow as well – it makes sense to me to have them in Frontierland. They fit that theme a lot better. Well, there you have it Disney foodies. Now you know right where to go for your favorite treats! I’m embarking on a couple of new adventures this year! 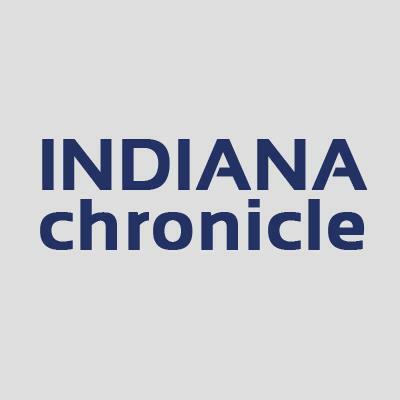 The first… I was elected Vice President of the Indianapolis Liederkranz Damenchor. Pretty sweet since I don’t speak German. (yet) These ladies are wonderful and I’m glad to help serve them and our German community in Indy. The second adventure is currently in progress. I should have confirmation in a couple of weeks and be able to make a formal announcement then. It is going to be huge, awesome and fun. The best part? You can participate in this adventure with me! I’m really excited to see what the rest of this year holds for me and my family. I hope you’ll be around to share in the excitement! When I ask this it’s in the context of my loss. Have I done anything of value through my experience? Have I made a difference? Am I different? Well, of course I am different. Gone are my carefree, nothing can touch me, naive days. But have I allowed my loss to change me for the better? Some days I’m not so sure… and I’m probably being too hard on myself in those moments. I want to be a better mother because of my loss. I want to be sure I am taking advantage of every millisecond of time I have with these precious little people. I don’t want to be angry or critical or “no fun” to be around. Again, I’m sure I see myself through a much tougher lens than anyone else does. 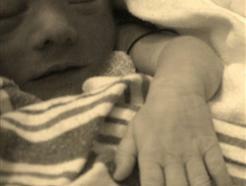 Today is Pregnancy and Infant Loss Awareness Day. Though all of us who’ve suffered loss remember our sweet babies everyday this is the day for all of us to remember them together. I’ve been listening to Brahms’ requiem today. I love choral music and love to sing. When I looked up the translation I was surprised by what I found. One of the verses I have clung to through all of this is in the first movement. What a blessing to find this today. Here’s the version I’ve been listening to. In addition to enjoying this beautiful music I will be lighting a candle for my sons tonight. There will be a wave of light across the globe at 7pm (local time) lit by those remembering all of the babies gone too soon. I hope you will join us. My kids are a laugh a minute. I mean it, you really never know what is going to come out of their sweet mouths! They understand humor (and, sadly, sarcasm), they quote movies like the grown-ups do… it’s a very fun time with them. Also, sometimes, we get into some great, serious conversations. This is when they surprise me the most. So much understanding of death for such a young boy. He understands that his brother’s body, his “earthly form”, remains here but that his soul is in Heaven. He has a connection with that little body as much as I do. He held it and kissed it and talked to it, just like I did. It matters because it contained his brother’s soul. He’s helped me to realize why people visit cemeteries when I couldn’t understand it before. I promised him we would make it to the cemetery on a day close to Gabe’s birthday. And I promised to get the cupcakes (“or the cookies with a bunch of icing and sprinkles”) that he has made a tradition. He’s also asked for balloons this year because he likes that we did that for Felix. I am so thankful that God put little D into my life. He is constantly challenging me to be better and to see other perspectives and think differently. I love you, D-bo! Miss H had her check up with Dr. G last week. He says she looks GREAT! Her hips look wonderful and she walks, runs and climbs like she never had a problem! All clear until the next check-up. We’re all so thankful for this news!